Due to the lack of funding from partner organisations across the county it is necessary for Voluntary Impact Northamptonshire to clarify their offer of support to groups, volunteer involving organisations, the general public and any other organisations who seek our support, advice, knowledge and expertise. From June 1st 2018, you may be referred to your local volunteer centre, to online resources and information or offered an appointment with a member of our group support or volunteering team. It may not be possible for VIN to respond immediately to requests for support. Delivery of services will continue but may be delivered through alternative platforms and pro-bono advice may no longer be available in some instances (see website for more information). VIN will continue to develop and share good practice, resources and work with partners. We feel it is imperative that we do not lose that personal touch for our local communities We will continue to work with Northampton Borough Council to support local community groups and those looking to volunteer. Would you like to have a say in project prioritisation and development of the NHS and Health Research and Care? 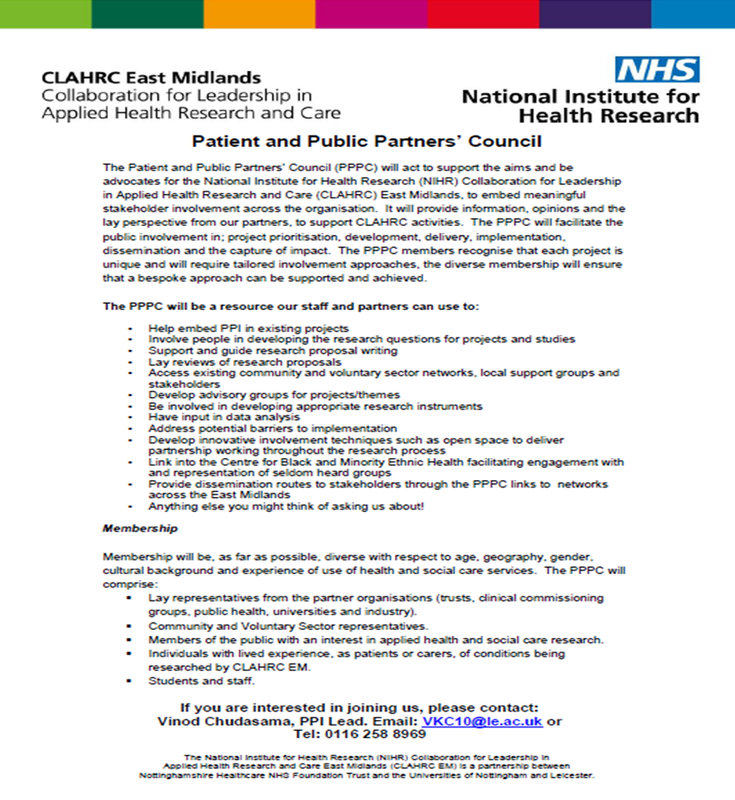 The join the Patient and Public Partners' Council.